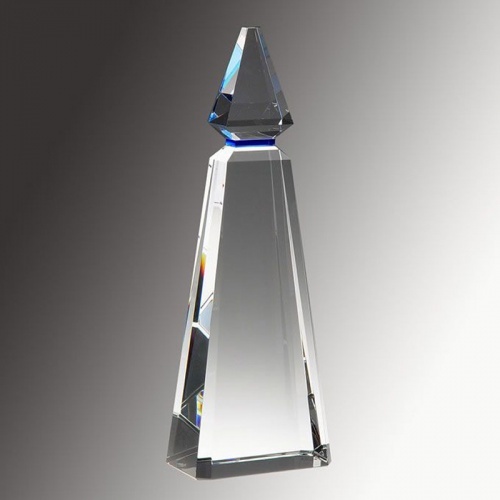 A fitting tribute for achievement at the very highest peak, these spire-shaped awards are among the finest quality crystal awards on the market. Part of Prism Crystal&apos;s Elite Collection, they are made in premium optical crystal and feature a clear crystal body topped with blue crystal finial. Standing an imposing 11.5in tall, they can be engraved on the body to create a truly impressive trophy or award. Each Blue Phineal award is supplied presentation boxed. Size: H 11.5in x W 4in x D 2 3/8in.